My Watermelon Moon: Enter the Anything Goes Challenge! Enter the Anything Goes Challenge! Hello Friends! Today is an opportunity for me to hopefully inspire you to go create and WIN! SVGAttic is having a fun challenge and you are invited to join in the fun. 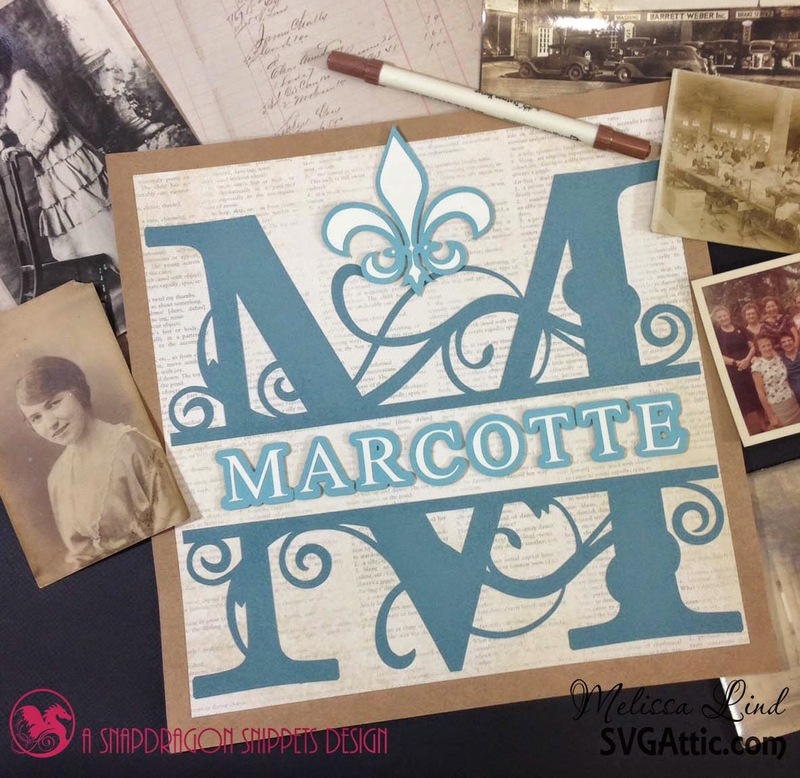 You can win up to a $25 gift card to shop through the fun designs at SVGAttic! Nothing better than winning more crafty goodness. You will need to use a recognizable SVG Attic file in your design but other than that- ANYTHING GOES! You have until May 31st to link up your creation and join in the fun. To help inspire you I made a scrapbook page. My other hobby is genealogy. I spend a ridiculous amount of time researching- and I love every second of it! I have a vast collection of photos that I have acquired from my grandmothers. Many originals- and from my distant grandmother- pictures of her pictures. My grandmother in Illinois has been working on creating albums for years- they are exciting and fun to look through. I wanted to give her some fun extras to add to the albums. As soon as I saw the split monograms at SVG Attic I knew EXACTLY how I was going to use them. I used all Close to My Heart papers- I love how the color palettes all go together so nicely making choosing colors a snap! If you are interested in learning more go to my site or email me! I have a special offer for all new customers. This is just for one of the family lines of course. I have MANY more to make :) I hope she likes it as much as I do. I think it will be fun to add this to her beautiful collection. I hope that you enjoyed today's project and that it inspires you to join the Anything Goes Challenge! This is GORGEOUS! I need to go check that file out:) TFS!